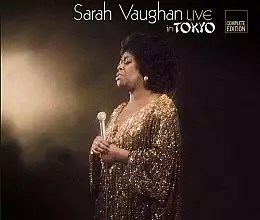 Sarah Vaughan’s ‘Live in Japan’ is an album recorded on September 24, 1973 at Nakano Sun Plaza Hall, Tokyo and released the same year by Mainstream.. Recorded September 24, 1973 At Nakano Sun Plaza Hall, Tokyo, Japan. Released In 1973 By Mainstream..